Whipple’s disease, also known as Whipple disease, is a rare form of systemic infectious disease that is caused by the Tropheryma whipplei bacterium. The condition is primarily categorized as a gastrointestinal disorder that causes malabsorption of nutrients. However, it may also affect other parts of the body such as the heart, brain, lungs, skin, joints, and the eyes. Whipple disease is very rare, and has an incidence rate of one in per million people. Patients are mostly male; however in recent years some countries have shown an increasing rate of women patients. A genetic predisposition is suggested by the fact that the condition is predominantly observed in the Caucasian population. The condition develops in individuals mostly in their middle ages. It is more prevalently seen in men; almost 87% of all patients are male. The condition was described initially in the year 1907 by the American physician and pathologist George Hoyt Whipple. Initially, the disease was referred to as intestinal lipodystrophy. Although the condition was thought to be contagious at a certain point, the underlying organism responsible for it was fully identified only in 1992. Its presence in tissue samples of the original patient was finally confirmed in 2003 by physicians from the Johns Hopkins Hospital. The Tropheryma whipplei bacterium is responsible for the infections caused by Whipple disease. These infections are characterized by presence of internal sores known as lesions as well as thickening of tissues. The Villi, which are like tiny finger-like projections that are lined along the small intestine, change their shapes to take on an anomalous, club-like appearance. Damaged intestinal lining then fails to absorb the nutrients properly, which leads to malnutrition and diarrhea. Researchers are not sure as to how the Tropheryma whipplei bacterium infects people. One popular theory suggests that certain individuals are more prone to be affected by Whipple’s disease due to certain genetic factors that has an influence over the immune system of the body. This notion is supported by the presence of a rather large population of asymptomatic carriers. These people do not get sick or affected by the disorder even though they carry the bacterial agent within their bodies. The bacterium is more commonly found in the environment and have showed itself in the soil as well as sewage wastewater, which is quite uncharacteristic given the rarity of the disease. Although more than one individual within a single family have been found to be affected by the disorder on many occasions, there is no strong evidence to suggest transmission of the bacterium from one person to another. The bacterium is mostly seen as an environmental organism commonly present in gastrointestinal tract without causing any symptoms. It can become pathogenic under the influence of some acquired or inherited immunodeficiency. The joint pains might sometimes develop several years before the onset of any symptoms of the digestive tract. Pains generally occur in the larger joints but can develop anywhere in any pattern. They normally do not cause deformity of the joint surface. Some of the patients can also be affected by chills and fever. An advanced form of the disease leads to malabsorption of nutrients from diet which leads to waste and enlargement or bloating of the lymph nodes within the abdomen. The neurological signs and symptoms are more commonly seen in individuals who are affected by severe abdominal disease. Poor absorption of fats may cause many patients to develop steatorrhoea, a condition characterized by the production of fatty, offensive stool. Peripheral oedema is caused by depletion of a blood protein known as albumin. Nearly 50% of all patients also suffer from skin darkening. Some patients also develop skin nodules. Different types of eye conditions like uveitis might occur. This is characterized by deteriorating vision capacity as well as pain within the affected eyes. Endocarditis or heart valve infection has been documented in some cases; sometimes in patients who show no other symptoms and signs of Whipple disease. This is generally noticed as leg swelling and breathlessness due to accumulation of fluids as the heart becomes unable to pump the fluids throughout the body. Myorhythmia of the face and eye movement disturbances occurs in a condition known as oculomasticatory myorhythmia, which is typical for Whipple disease. Seizures, headaches, weakness accompanied by poor coordination between the various parts of the body as well as some other uncommon neurological signs are also present in certain cases of this condition. While ascertaining the diagnosis of Whipple disease, the following conditions showing similar symptoms should be differentiated from it. The condition can be treated with antibiotic therapy. If left untreated, Whipple’s disease may ultimately turn to be fatal. Patients of Whipple disease need to be treated with antibiotics for a long time in order to cure the infections of central nervous system and the brain. The ceftriaxone antibiotic is administered intravenously, which is then followed by another appropriate antibiotic like trimethoprim-sulfamethoxazole that is taken orally for up to one year. Other antibiotics used include penicillin, tetracycline, ampicillin, streptomycin or co-trimoxazole. The antibiotics used can be changed if the symptoms and signs come back during treatment. Treatments lasting for less than one year carry an estimated relapse rate of around 40%. The doctor should monitor the progress of the treatment closely to make appropriate decisions regarding any changes that need to be made in therapeutic measures. An alternative method to treat this condition would involve combining doxycycline with the anti-malarial drug hydroxychloroquine and administering the medications for twelve to eighteen months. Neurological symptoms can be corrected with the use of sulfamethoxazole or sulfadiazine. Supplements can be taken to alleviate nutritional deficiencies caused by malabsorption. 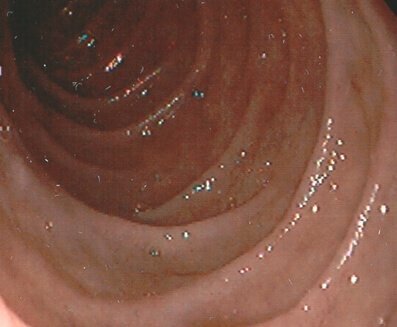 Following treatment, the likely outcome or prognosis for Whipple disease is good. The majority of the symptoms disappear within a month. Although relapse of the symptoms is quite common, a close observation of the patient’s overall health can help to guard against that tendency. Endoscopy with a small intestinal biopsy should be accompanied by a PAS staining test and PCR testing or electron microscopy should be repeated a year after the commencement of the treatment procedure. People affected with neurologic Whipple disease and showing signs of relapse generally tend to have a rather poorer outcome. They may experience serious neurologic symptoms or even death. Hence, some researchers are of the opinion that all cases of Whipple disease should be held as neurologic. The cases of relapsing neurologic Whipple diseases are generally treated with antibiotics and interferon gamma (IFNγ) injections administered weekly. This helps to activate the immune system of patients. Whipple disease is an infectious disorder that causes gastrointestinal problems as well as affects smooth functioning of various other parts of the body. Although the condition can be fatal without treatment, proper medical attention allows patients to lead a normal, healthy life.